Since 1909, Nickles Bakery has expanded its distribution area to meet the needs of customers in seven Midwestern states. Thousands of customers have enjoyed the freshly baked breads, rolls, cakes, donuts and almost every baked food imaginable which has contributed to Nickles famous reputation as one of America’s finest bakeries. We are proud to say that the owners of Vitale Bros. are still involved personally in the everyday operation of creating our products. It was the year 1954 that two Italian families Luigi and Anna Stievano and Luigi and Felicita Marson got together and decided to lease an Italian Bakery. The partnership was equal and the business was International Baking Co. located on Erie Street in Windsor Ontario. When the leasing period ended, they decided to form a new company. In 1959 the company Stiemar Bread Co. Ltd. was born. The name was a blending of the two last names (Stie)vano and (Mar)son. The main product was a variety of European breads, which were delivered door to door to houses and local businesses and institutions. In 1969 Stiemar Bread was one of the first bakeries in Winsor to introduce the ‘Coffe & Donut’ shop. It was after that; the larger Canadian donut chains recognized the marketing potential in this area. Germany is a country known for fine food, but it is perhaps most renowned for the fine art of baking. German bakers and their creations are respected the world over. None deserve this reputation more than Alfons Dimpflmeier. Trained as a Master Baker then graduated at the famous Handelskammer in Munich, Mr. Dimpflmeier brought his rare skills to Canada in 1957. From the beginning Mr. Dimpflmeier has used century old recipes baked in authentic stone ovens to create rye breads of superb quality and flavor. Baking true rye bread is a delicate and lengthy process that demands the finest natural ingredients and painstaking preparation. Dimpflmeier Rye Breads are now available throughout North America but every loaf is still prepared with the same tradition of excellence that has always distinguished Dimpflmeier products. “Cakes and pastries fine enough to serve at the White House.” That is how Roy Nafziger, IBC’s founder, described his Dolly Madison snack cakes at their introduction in 1937. Roy’s fascination with the First Lady Dolley Madison lent him the name and inspiration to create a high quality snack fit for a socialite like Madison yet affordable for everyone. Dolly Madison snacks may be best remembered for their marketing campaign in the 1970s and 1980s with the Peanuts comic strip. Characters Charlie Brown and friends appeared on packaging and in TV commercials. Each Dolly fruit pie variety was branded with a different Peanuts character: Charlie Brown on cherry pie, Peppermint Patty on peach pie, Sally Brown on coconut cream pie, Linus van Pelt on apple pie, and so on. Today, Dolly Madison Bakery® products have grown to include Zingers®, Donut Gems®, Angel Food and Pound Cakes, and a variety of breakfast items like Sweet Rolls, Dunkin Stix and Pecan Rollers. In 1925, three Lewis brothers, Amos, Armold and Jack, mortgaged their mother’s house for $300 and opened a bakery in a cabin in southern Illinois. In the earliest days bread was baked by only the three brothers, who took some of each day’s profits to purchase flour for the next day’s bread. The bread was delivered daily by horse and wagon to individual homes nearby. Today, with company headquarters in Evansville, Indiana and 5 Midwestern bakeries, Lewis Bakeries is the largest wholesale bakery in Indiana. By continuing to track consumer trends and emerging nutrition research, Lewis is able to produce the very best bakery products. Lewis was the first to produce cholesterol-lowering oat bran bread in the 1980s and the first to remove trans-fats from all its products as early as 1987. Lewis was among the first to spot consumers’ growing awareness of the benefits of reduced calorie, low carbohydrate, high fiber, fat free and whole grain breads… and to produce the breads that fit a healthier lifestyle. In 1991, Healthy Life Bread was introduced as the first fat-free, reduced-calorie bread. 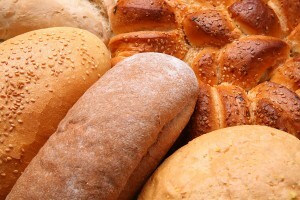 For over 30 years Orlando Bakery has been providing quality bakery goods to the Chicagoland area. Using only the finest ingredients, all products are baked fresh daily on the premises. These are now available here in Michigan for your enjoyment. Brown’s Bun Bakery is a wholesale producer of “Quality Assured” bakery products, serving restaurants, food service, sports stadiums, and institutions. We use only the finest ingredients available and still do things as we did in the past. No short cuts… ever!